Kilkenny is the county town of County Kilkenny in the province of Leinster in south-east Ireland. It is built on both banks of the River Nore. The city is administered by a borough council, which is a level below that of city council in the local government of the state, although the Local Government Act 2001 allows for "the continued use of the description city". The 2016 census gave the total population of Kilkenny as 26,512. Munster is one of the provinces of Ireland, in the south west of Ireland. In early Ireland, the Kingdom of Munster was one of the kingdoms of Gaelic Ireland ruled by a "king of over-kings". Following the Norman invasion of Ireland, the ancient kingdoms were shired into counties for administrative and judicial purposes. In later centuries, local government legislation has seen further sub-division of the historic counties. Sir Nicholas Plunkett (1602–1680) was the son of Christopher Plunkett, 9th Baron Killeen and Jane Dillon, daughter of Sir Lucas Dillon. His brother Luke was created Earl of Fingall in 1628. At the age of twenty Plunkett traveled to London to receive training as a lawyer at Gray's Inn in London, and later trained at King's Inn in Dublin. By the 1630s he had established a thriving legal practice: the attempts by Thomas Wentworth, the Lord Lieutenant of Ireland, to confiscate as much Irish land as possible to the Crown, ensured that his services were in high demand. At this time he also became an MP in the Irish House of Commons, sitting for Meath. Viscount Gormanston is a title in the Peerage of Ireland created in 1478 and held by the head of the Preston family, which hailed from Lancashire. Kells is a town in County Meath, Ireland. The town lies off the M3 motorway, 16 km (10 mi) from Navan and 65 km (40 mi) from Dublin. It is best known as the site of Kells Abbey, from which the Book of Kells takes its name. Hugh O'Reilly was an Irish prelate of the Roman Catholic Church. He served as Bishop of Kilmore from 1625 to 1628 and Archbishop of Armagh from 1628 to 1653. A synod is a council of a church, usually convened to decide an issue of doctrine, administration or application. The word synod comes from the Greek σύνοδος (sýnodos) meaning "assembly" or "meeting", and it is synonymous with the Latin word concilium meaning "council". Originally, synods were meetings of bishops, and the word is still used in that sense in Catholicism, Oriental Orthodoxy and Eastern Orthodoxy. In modern usage, the word often refers to the governing body of a particular church, whether its members are meeting or not. It is also sometimes used to refer to a church that is governed by a synod. The Archbishop of Armagh is an archiepiscopacy in both the Church of Ireland and the Roman Catholic Church, two of the main Christian churches in Ireland. It takes its name from the city of Armagh in Northern Ireland. The ordinary also holds the title of Primate of All Ireland in each church. Since the Reformation, parallel successions to the archiepiscopal see have taken place. It is often argued that this split within the Confederate ranks represented a split between Gaelic Irish and Old English. It is suggested that a particular reason for this was that Gaelic Irish had lost much land and power since the English conquest of Ireland and hence had become radical in their demands. [ citation needed ] However, there were members of both ethnicities on each side. For example, Phelim O'Neill, the Gaelic Irish instigator of the Rebellion of 1641, sided with the moderates, whereas the predominantly Old English south Wexford area rejected the peace. The Catholic clergy were also split over the issue. 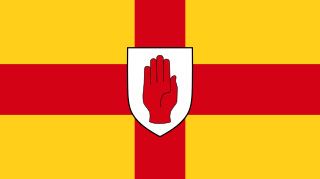 Confederate Ireland was arguably the only sustained attempt at Catholic Irish self-government between 1558[ clarification needed ] and the foundation of Irish Free State in 1922. Its style of parliament was similar to the landed oligarchy Parliament of Ireland established by the Normans in 1297, but it was not based on a democratic vote. Given their large notional power base, the Confederates ultimately failed to manage and reorganise Ireland so as to defend the interests of Irish Catholics. The Irish Confederate Wars and the ensuing Cromwellian conquest of Ireland (1649–53) caused massive loss of life and ended with the confiscation of almost all Irish Catholic owned land in the 1650s, though much was re-granted in the 1660s. 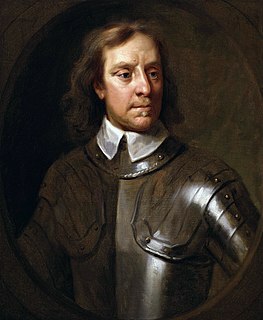 The end of the period cemented the English colonisation of Ireland in the so-called Cromwellian Settlement. Giovanni Battista Rinuccini was an Italian Roman Catholic archbishop in the mid-seventeenth century. He was a noted legal scholar and became chamberlain to Pope Gregory XV, who made him the Archbishop of Fermo in Italy. He is best known for his time as Papal Nuncio to Ireland during the Irish Confederate Wars (1645–49) during the Wars of the Three Kingdoms. Rinuccini became the dominant figure of the Clerical Faction of the Confederate leadership, pushing for greater concessions to the Catholic Church in any treaty of alliance with Irish Royalists. Richard Bellings (1613–1677) was a lawyer and political figure in 17th century Ireland and in the Wars of the Three Kingdoms. He is best known for his participation in Confederate Ireland, a short-lived independent Irish state, in which he served on the governing body called the Supreme Council. In later life, he also wrote a history of the Confederate period, which is one of the best historical sources on the Confederation. Sir James Dillon was an officer in the armies of the Irish Confederate Catholic during the Irish Confederate Wars (1641–53) and a Member of the Parliament of Ireland. He was likely born at Kilfaughny, Athlone and lived in the vicinity. Events from the year 1646 in Ireland. The Sack of Cashel was a notorious atrocity which occurred in the Irish County of Tipperary in the year 1647, during the Irish Confederate Wars, part of the Wars of the Three Kingdoms. The town of Cashel was held by the Irish Catholic Confederate's Munster army and was besieged and taken by an English Protestant Parliamentarian army under Murrough O'Brien the Baron of Inchiquin. The attack and subsequent sack of Cashel was one of the more brutal incidents of the wars of the 1640s in Ireland. ↑ Siochrú, Micheál (1998). Confederate Ireland 1642–1649 A constitutional and political analysis. Four Courts Press. ISBN 1-85182-400-6. ↑ C. P. Meehan (1846). 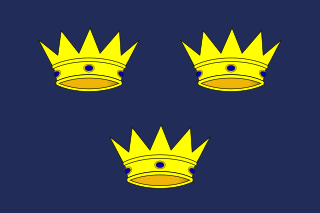 The Confederation of Kilkenny. Dublin: James Duffy. p. 176. ↑ "Text of the Orders of 24 October 1642". Ucc.ie. Retrieved 14 February 2012. ↑ Carte T. Life of Ormonde London 1736, vol 1, p. 543.